Here is a chronological account of the adventures of both the characters and the company that created them. 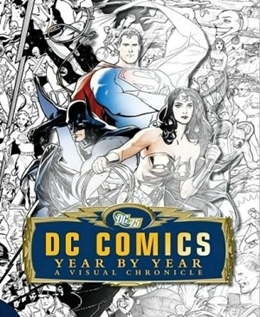 The ´DC Chronicle Year by Year´ traces DC´s story - the company´s beginnings as National Allied Publications in the 1934, and its subsequent change to Detective Comics, Inc. in 1937. The book details all the DC publishing landmarks and more, displayed month by month.